Some of the most popular gadgets over the holiday season were smart speakers with digital assistants from Amazon and Google . Apple is coming out with its own speaker this year; Microsoft and Samsung have partnered on another. As the annual CES gadget show kicks off in Las Vegas this week, manufacturers are expected to unveil even more voice-controlled devices—speakers and beyond—as Amazon and Google make their digital assistants available on a wider array of products. If these prove popular, you'll soon be able to order around much more of your house, including kitchen appliances, washing machines and other devices. 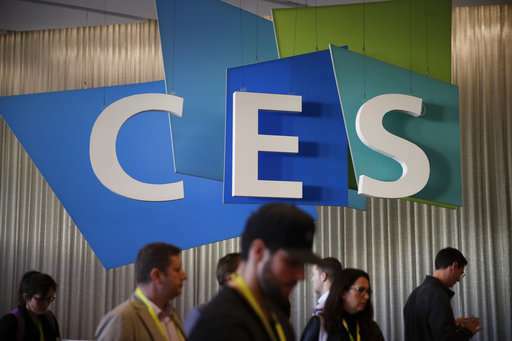 CES is expected to draw more than 170,000 people, as some 4,000 exhibitors showcase their wares over the equivalent of nearly 50 football fields, or more than 11 New York city blocks. The show formally opens Tuesday, with media previews starting Sunday. While major tech companies such as Apple and Google typically don't make big announcements at CES, their technologies will be powering products and services from startups and other small companies. Expect more gadgets using Google's Android operating software and Google's digital assistant, for instance, and products that work with Apple's HomeKit, a smart-home system getting a boost with the coming launch of Apple's HomePod smart speaker. Here's what else to expect at CES. Computers that learn your preferences and anticipate your needs are no longer the stuff of science fiction. Consumers are seeing practical applications in voice-assisted speakers such as the Amazon Echo and Google Home. These systems will get more useful as manufacturers design new ways to control their products with voice commands. You might also see hints of where AI is heading. Steve Koenig, senior director of market research at CES organizer Consumer Technology Association, says that as more people use these AI systems, companies have more data to better train the machines. Auto makers will also demonstrate self-driving vehicles propelled by AI. CES is increasing the space for self-driving technologies by more than a third this year. Startups are expected to unveil earphones that promise real-time translations of conversations in different languages, much as Google's Pixel Buds now do, though only for Google's Pixel phones. There are also conference sessions devoted to high-tech retailing, including the importance of collecting and analyzing data on customers. 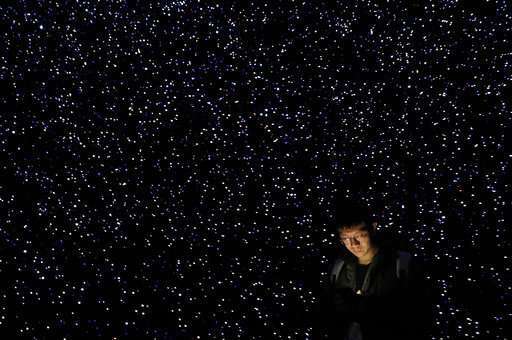 Cars, lights, washing machines and other everyday items are getting internet connections. That could mean checking what's left in your fridge from the grocery store, for instance. Expect more appliances and tasks for them to do online. As more devices get connected, there's greater concern for security. We'll likely see more products and services designed to protect these smart-home devices from hacking. Beyond that, companies will showcase the potential of smartening up entire cities so that maintenance crews can remotely detect roads needing repairs, and motorists can view and reserve parking spaces ahead of time. Better yet, how about traffic lights that aren't set with timers, but reflect actual traffic and pedestrian flows? For the first time, CES has an area devoted to smart cities, with more than 40 companies set to exhibit. The smart-cities concept has been making the rounds at several tech shows, but what remains unanswered is when it will actually begin happening—and who will pay for it. CES is typically when Samsung, LG and other manufacturers announce their TV lineups for the year. In a bid to get consumers to upgrade sooner, higher-end models will come with fancy technologies going by such names as "4K," ''HDR" and "OLED." Many sets will come with voice controls. They will sit alongside basic sets that work just fine for regular viewing. Don't expect new iPhones or flagship Galaxy models. Apple and Samsung typically announce those at their own events. But CES is the place for less-known and lower-cost Android phones, along with tablets, laptops and other personal computers, not to mention storage drives and other accessories. There will also be virtual-reality and augmented-reality technologies, some aimed at sports fans who want to feel they're more part of the game. And while a few companies like Apple and Fitbit are currently dominant in wearable devices, many startups are eager to challenge them with new approaches for tracking fitness and medical issues. There should also be no shortage of flying drones overhead and scurrying robots underfoot. There will even be a robot that folds your laundry—though at a snail's pace of one shirt every two minutes. Although CES is about consumer electronics, consumers will never see many of the technologies on display. Network-equipment makers, for instance, might use the show to display technologies for next-generation 5G wireless networks, which promise to be much faster than the existing 4G LTE. Phones that can take advantage of 5G won't be around for a few more years. Gary Shapiro, the head of the Consumer Technology Association, said that given the changing nature of technology, about a third of CES is now about back-end business deals rather than direct-to-consumer products. "Twenty years ago, people bought products sold at retail stores in very defined categories," he said. "Now every company and business defines itself as a tech company." What's so hot about voice control? The thing about typing is its private. That's why texting is so popular. Only a few places where you want to talk to your devices. The real breakthrough will be thhe internal dialogue. When our devices cans tap into that conversation we are always having with ourselves. I just read/skimmed Dan Browns Origins book. His character discovered a way of predicting mankind's extinction, within the next few gens. You know, AI supplants us/absorbs us. Well for that to happen the interface will have to be direct. And once that becomes possible, and AI begins storing our memories and thinking for us (as it is already doing), it can then begin replacing our personalities with something more useful to us. It can optimize our functioning by reprioritizing and redefining our memories for us, getting rid of trauma and self-doubt not unlike Scientology always promised to do.